Just because you are using digital signage for your business does not mean your customers and audience would be obliged to give you the right returns. Although you are doing it with the intention of providing a better user experience that brings them closer to your business, things may not work your way. If it happens that the digital signage fails to elicit the right response from the audience, then you must closely look deep into the campaign to unearth the reasons for apathy. It might be quite frustrating to watch your investment and effort goes to waste, but there are ways to know where you have failed. It would show the path to recovery and success. Before launching any marketing campaign, it is essential to read the mind of the targeted audience so that you can create strategies accordingly. After all, you have to serve the audience with what they want, and this is not only true for the products and services only but also for the advertising and promotional campaigns that you launch. By knowing what the audience likes and dislikes it becomes easy for you to create content for the campaign that results in better engagement. You have to ensure that you speak in the language that the audience understands, and present only relevant and useful content that inspires them to engage with your business. We often overlook the relevance of content. When two people interact and engage in conversation, how long the conversation will last depends on how meaningful it is for both. When both parties talk about a topic that interests them, their engagement strengthens. This indicates that they could closely relate to the topic because it was relevant it helped to arouse their interest that sustained the conversation. 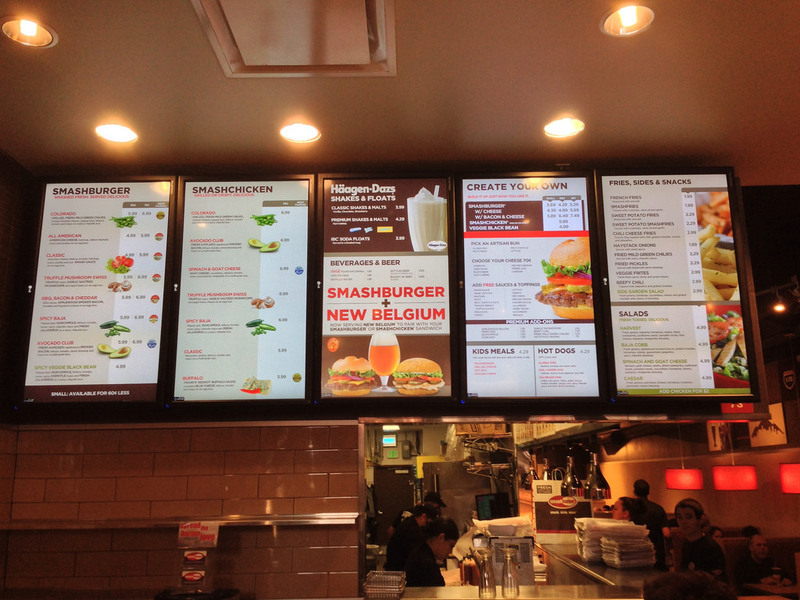 Just like in the above example, when you communicate with customers via business signs menu boards, you have to present relevant content to them. Researching to understand audience behavior provides valuable data that points to specific choices of customers and you have to serve them with appropriate content that matches their expectations. Use of proper analytics helps to analyze the data collected through research and reveals the information that becomes useful to understand what type of content would be relevant to the audience. The digital signage software has inbuilt analytical tools that helps to examine the extent of customer engagement, how long they look at a display and how much they react emotionally to the content. You can use this information to improve the content for better engagement. From the choice of language to structuring the content and presenting it, you must make it interesting for the audience all the way. Only by keeping the content relevant to the audience will you be able to make much headway in reaching their hearts, which is vital for creating the required appeal. The content must be capable of engaging customers and generate positive vibes that give a sense of enjoyment and fulfillment that drives them closer to it. When framing the content, you must know what to highlight to strike the right chords. Take care to ensure that you do not stuff the content with bland topics but make it spicy and bright which makes the audience to not only take note but also react to it with a positive mind. The purpose of creating content is to create brand awareness first, then conveying its value so that the audience knows how it will be useful for them. The push for sales comes last because once the audience gets mentally prepared to accept the content wholeheartedly, sales would happen just in some time. The content must have elements that help to enhance the brand value that opens the gateways for sales. While advertising is one of the goals that you can achieve by using digital signage, you should create content that keeps the audience engaged. The audience should not feel that they are encountering some strange communication that does not have any meaning. Create content by speaking on topics that are relevant to the audience and structure the communication attractively by using the language that they understand easily. The better you can engage the customer, the easier it would be to drive home the message underlying the content. Integrating the digital signages with social media elevates the engagement level of the audience. Being able to generate optimal interaction with the audience should make you happy. About the author: John Mathew has been working with digital communication systems and has installed hundreds of digital signages. He has a bag full of tricks to make business signs menu boards work for his clients.